Discover Hardwood Flooring and Design is Rochester’s choice in dustless hardwood floor refinishing. We utilize the newest technology in dust containment. Our system incorporates the use of cyclonic Hepa filtration vacuum systems, providing a virtually dust free refinishing process. 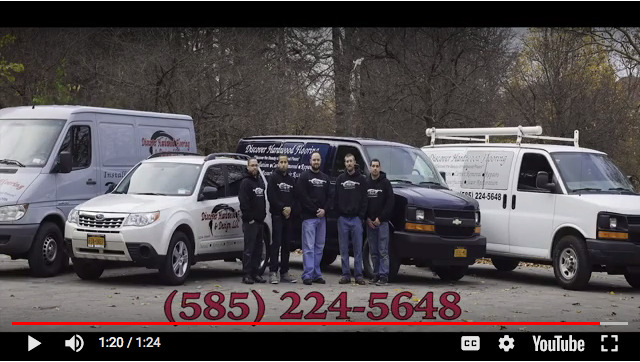 Check Out Our Dustless Hardwood Floor Refinishing Commercial! Whether refinishing and restoring preexisting hardwoods, or installing new custom site finished floors, our advanced equipment allows us to provide our customers with cleaner contracting services.